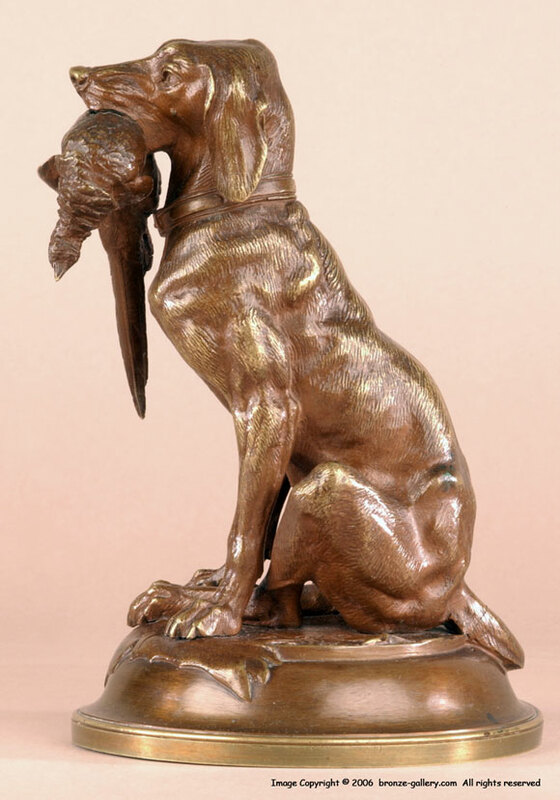 A rare model of a seated Pointer carrying a Pheasant by Barye's son. 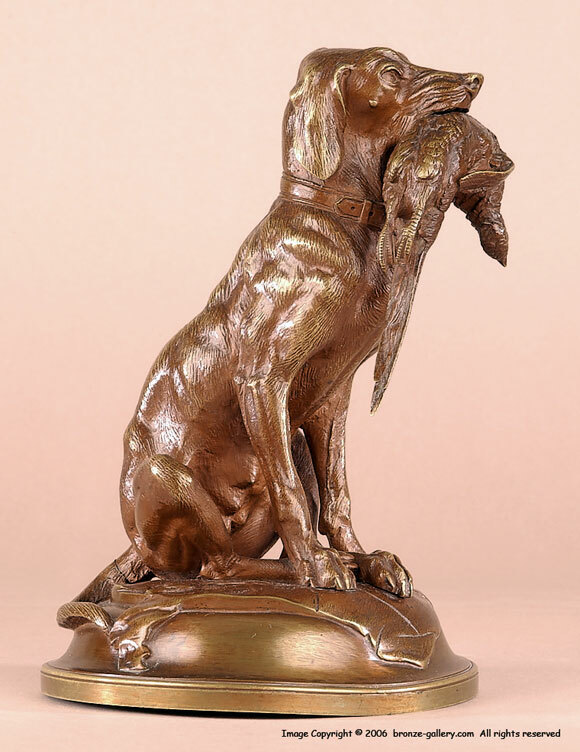 Alfred Barye was a talented sculptor and this is a finely crafted and cast bronze of a hunting dog retrieving game. Most bronzes of dogs are of male dog but this one is a female dog. Alfred Barye also did a female bulldog with rats she had killed. This bronze is finished with a rich red brown patina.